This might be the easiest tree skirt you will ever make! The large diamond pieces are cut from a pattern template and are surrounded by pieced quarter square triangles. 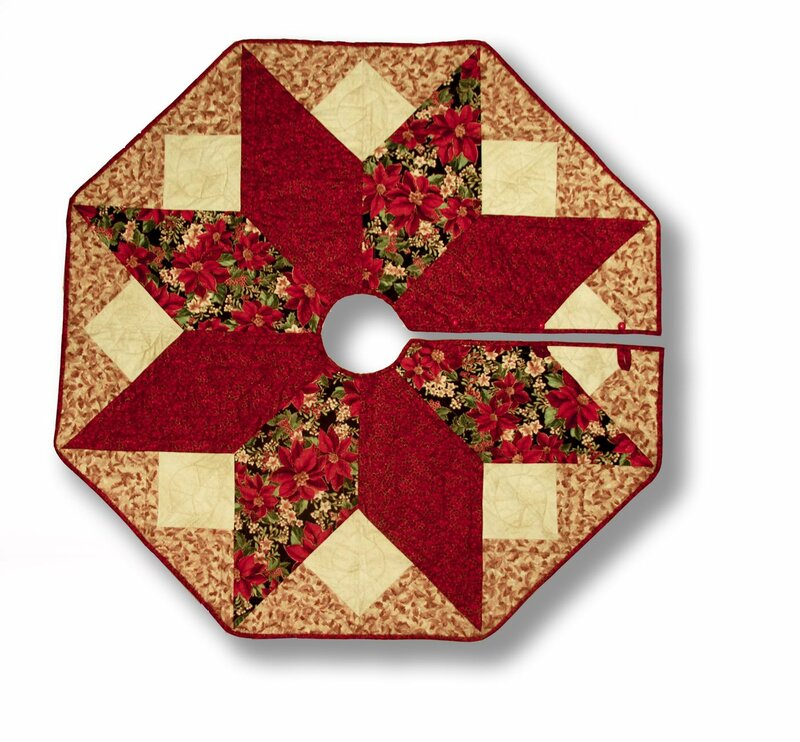 The choice of fabrics can create a look in this tree skirt that can be either formal or fun! Kits are available if desired. Pattern purchase is required.